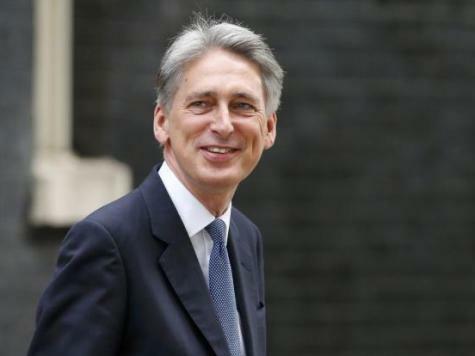 The British government appeared to overrule Foreign Secretary Philip Hammond this afternoon by stating that the UK may yet take part in air strikes against Islamic State in Syria. Hammond had earlier said that Britain would definitely not join the United States in air strikes against Islamic State jihadist fighters in Syria, but 10 Downing Street has now said that it may yet decide in favour. Philip Hammond was speaking after US president Barack Obama announced air strikes against ISIS fighters in Syria as well as Iraq, reasoning that as the terrorists had free passage across the countries’ border, it would not make sense to focus only on Iraq. Obama maintained that the move did not amount to support for the regime of Bashar al-Assad, who has been accused of using chemical weapons against his own citizen’s during his country’s bloody civil war. Hammond had told a press conference in Berlin that UK air strikes would not be “revisited”, adding: “Let me be clear Britain will not be taking part in any air strikes in Syria.” The Prime Minister’s office has now contradicted this, however, saying that no decision had been made. The British government was left reeling last year after parliament unexpectedly voted against launching air strikes against Assad in Syria. The defeat is widely seen to have contributed to Obama’s decision not to strike against Assad. Today, however, the President said that he would be launching strikes against the terror group who have swept across Syria and Iraq. “That means I will not hesitate to take action against ISIL in Syria, as well as Iraq. This is a core principle of my presidency: if you threaten America, you will find no safe haven,” he said. American opinion is now firmly behind the strikes following the murders of two US journalists by ISIS in the past few weeks.